Each and every year, as the tradition goes, we will be baking "Green Bagels" to celebrate St. Patrick's Day. We also make mini green bagels. 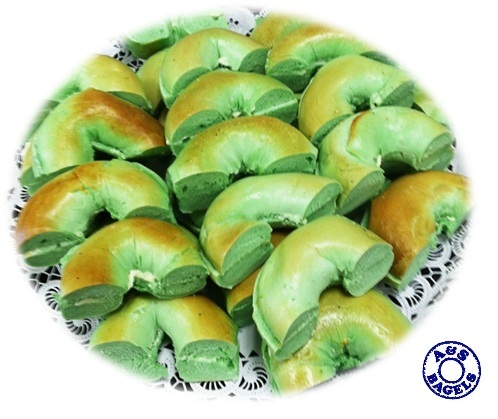 Pick up a dozen or more green bagels and add some joy and happiness to your St. Patrick's Day celebration. Please order your "Green Bagels" in advance to ensure you will have them for St. Patrick's Day. 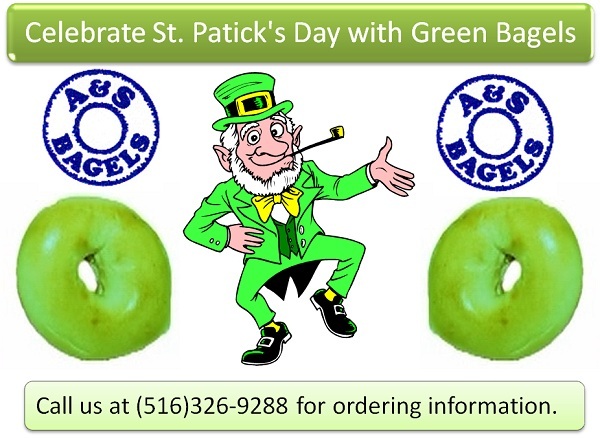 You can call us at (516)326-9288 to place your order.